As Libertarians we may all have very different beliefs on the size and scope of government, but I think we can all can agree that both self-ownership and private property rights are fundamental to the preservation of a free and prosperous society and that if government is to exist at all its functions should be to protect an individual’s rights to private property and individual liberty. With this in mind, I’d like to list five quotes that from Thomas Jefferson, one of America’s most influential Founding Fathers that affirm these fundamental Libertarian principles. 1. “A free people [claim] their rights as derived from the laws of nature, and not as the gift of their chief magistrate.” – Rights of British America, 1774. 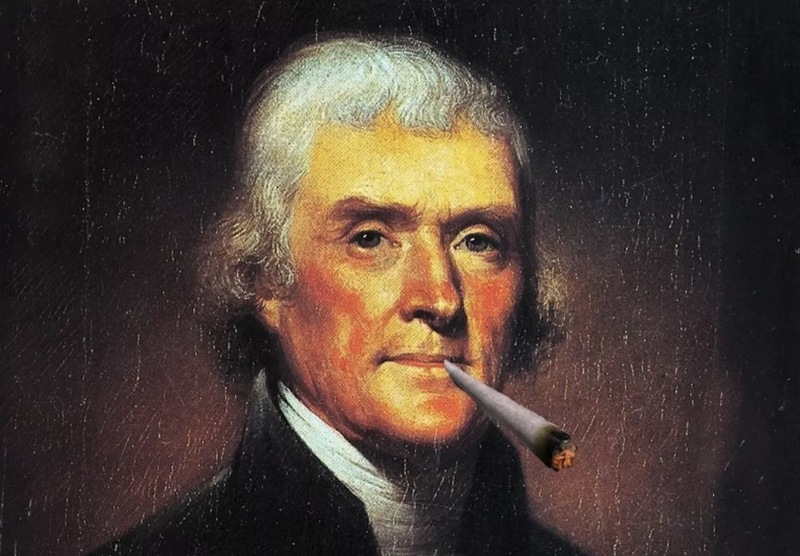 We can see here that Jefferson espoused the same fundamental ideas here that he would later write in the Declaration of Independence that man’s rights come from their Creator and that government’s only job should be to protect man’s rights not trample them, and if a government should trample man’s rights we should throw off the chains of oppression. 2. “The idea is quite unfounded that on entering into society we give up any natural right. – to Francis Gilmer, 1816. This quote dispels the notation that we often hear from Leftists today that an individual should surrender some of his or her liberty in the name of security Similar to the previous quote we see here that Jefferson would be appalled at such a nonsensical statement. Rights do not come from government and therefore can’t be taken away by the decree of any tyrant. This one is as fiery as the locks on Mr. Jefferson’s head, his words are will undoubtedly burn the “Bernie Bros,” but it’s not quite the type I am sure they were hoping for. No wonder they don’t like the Founding Fathers. Libertarians should be able to genuinely appreciate this quote because it defends the idea of self-ownership that we often advocate. I have always held if a person isn’t free to choose what to put in his or her own body they aren’t free. I don’t know about you, but when I read this, I thought this was eerily similar to one of the most recognized expressions in the liberty movement. Sounds like an 18th century way of saying “taxation is theft” to me.